Perhaps you’re thinking about sharing content on social media. After all, you’ve heard that’s what you should be doing these days. But how do you know which platforms to use? How do you know what to share and when to share it? 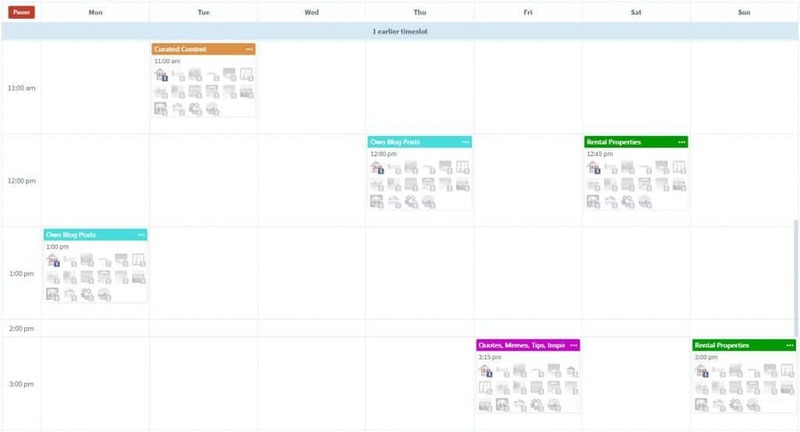 Knowing how to build a social media schedule can help you grow your following by leaps and bounds. Let’s get started. The most prominent social media platforms include Facebook, YouTube, Instagram, SnapChat, and Pinterest. Let’s go through each and find out the best social media to use in the vacation rental industry. With 2.2 billon users, Facebook is the powerhouse in social media. Most American adults have a Facebook profile. They’re used to seeing posts from brand pages, so long as it’s an interest they have. That’s one thing that makes it a great option for marketers advertising on Facebook. Facebook is great for the vacation rental and real estate industries. RealTech utilizes both Facebook Business Pages and Ads Manager to help our clients’ businesses grow. The combination of organic posts and paid advertising work in unison to accomplish your goals, whether it be more Page likes, more engagement, more traffic to their website, or more leads to add to their email list. With the right marketing plan, you can put Facebook to work for you. With 1.9 billion users, YouTube comes in a close second to Facebook. This social media channel is a video search engine to find all kinds of videos: music, how to, funny animals, pranks, unboxing, educational, product lines, memes, skits, and product reviews, among others. With the rise of virtual walkthroughs in architecture and real estate, YouTube is an untapped opportunity to take 3D virtual property tours to the next level with an actual video. Customers love seeing the inside of a vacation rental before they book. It can provide peace of mind that the home or condo unit is clean and well-kept. Sharing a walkthrough video of a rental property once a week can add great value to your marketing efforts. With 250 million monthly active users, this platform is continuing to grow in popularity. Pinterest is a hybrid of a visual search engine and a social media platform. As an online pinboard and social bookmarking site, its primary focus is to provide relevant visual results to a user’s search request. It has a broad range of life planning, hobbies, and product advertisement. Pinners create boards for pinning their favorite images of recipes, vacation ideas, crafts for kids, books to read, wedding ideas, clothing styles, and so much more. A Pinterest marketing plan is a slow and steady way to increase organic reach and brand awareness. With the right kind of custom images, pins are more shareable. The strength in using Pinterest is that the older the content, the better it performs. Content doesn’t simply disappear as it seemingly does on other channels. Pins are continuously shared, so they are labeled as evergreen content. Users who share images 3 to 11 times a day see the best results. Instagram is a highly visual platform where the best users share amazing photos 1 to 3 times a day. With just over a billion active users, it has the potential to be a great addition to a vacation rental owner’s brand and social media marketing strategy. To make an impact on this medium, you’ll need to post a variety of high-quality images daily to grab the attention of users. SnapChat is growing in popularity with 291 million active users. It’s a multimedia messaging app that feels like a mix between Instagram, YouTube, and Twitter. This social media platform is a major communication tool used by varying age groups, especially among teens. When sharing content on your social media sites, think about what type of content it is (the format and topics), where it originated from (who created it), and why you want to share any piece of content with a potential customer (what your goals are). 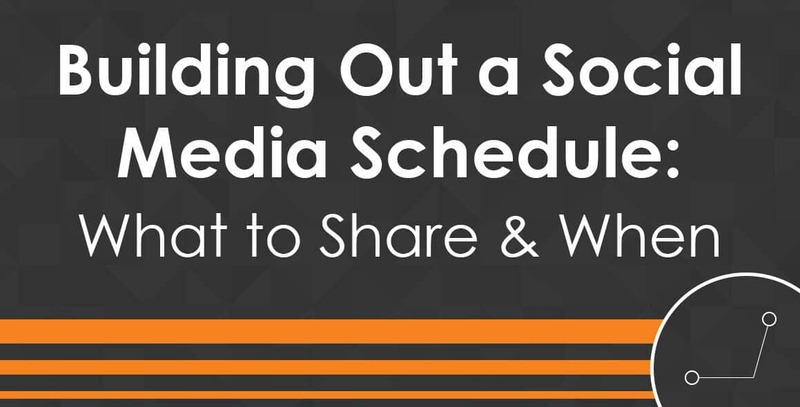 The different types of content to share on your social platforms is a long and varied list. If you’re wondering exactly what to share on your chosen social media accounts, start with a variety or combination of content formats and topics. This short list is the most relevant content to share in the vacation rental industry from the endless number of possible content options. The types of content in its various forms can come from any of the three content creators discussed in the next section. 3 Types of Content Creators: Who Are They? You can share your own content (self-generated), others’ content (industry-generated), or user content (customer-generated). Your own content shows that you have something to offer potential customers, that you can solve their problems, that you know what types of things will help your customers. This content would be the products you offer, blog posts on your website, and other useful information. This will take up the bulk of your sharing schedule. When you share other people’s content within your industry, it establishes you as an expert in your field. Curated content from other people such as competitors, peers, or local area companies sets you up as a trusted source of information for things like blog articles, infographics, videos, and more. You can also use industry-generated content to create a blog post that highlights restaurants and attractions, etc. If you can get your customers and potential customers involved enough with your brand to share their own content on your channels, this is the cream of the crop. Customers have the ability to boost your brand at no extra cost to you. Customer-generated content includes things like vacation photos, videos, testimonials, and local recommendations. Every piece of content you share on social should fall under one of these four main goals: to attract, to educate, to engage, and to advertise. These goals fall directly in line with the standard 3-part marketing funnel: the awareness phase (attraction), the consideration phase (educate and engage), and the conversion phase (advertising direct offers). Attracting your customers is about gaining new fans. What would your ideal customer love to share with their friends? Things that are inspirational, entertaining, or interesting fall into this category. These may include pet photos, popular beach quotes, fun recipes, or anything else non-vacation related. The education goal is to establish yourself as an expert. You’ll share your own content and curated content from other sources. What problems are your customers looking to solve? How can you help them answer their burning questions? This can include YouTube videos, blog posts, infographics, and more. Engaging your customers is all about getting your community involved and providing value. When you’re able to create conversations, you are utilizing the power of social media. This can be any type of content that users will find engaging, such as questions, surveys, contests, simple challenges, and behind-the-scenes details. Be sure to keep your engagement posts relevant to your industry. Finally, there’s advertising. Obviously, the goal of advertising on social is to convert users to become a customer, whether that be in the form of a booking or an email lead. This is where you get to ask the customer to buy from you, whether that be in actual dollars or with their email address. No matter what social platform you’re on, make your advertising posts useful, interesting, and entertaining. Always include a clear call to action, such as “sign up” or “book now”. How Often Should You Share the Different Types of Content? The most important thing to remember when sharing content on social media, no matter what platform you choose to use, is to make it about your customer, not about you. If all you ever do is advertise what you have to sell, people will tune out and turn away. So how do you know when to share a blog post vs. an infographic vs. images vs. videos? How often should you share your own content vs. that of other experts or your customers? How often should you share content that attracts vs. content that educates, engages, or makes an offer? With the type of content formats you share, vary it up and include different multimedia posts each week: videos, text, images, reviews, testimonials, etc. It’s not as important to have a set percentage as it is to simply have a natural smattering of varied posts. Clearly, you don’t want 100% of your content to come from “Numero Uno”. There is no hard or fast rule when it comes to sharing others’ content or customer-generated content. Try to include at least one piece of content from these other two sources each week, if possible. With the four “why” goals, try to keep it as close to a 25% division across the board: attracting, educating, engaging, and advertising. The following example uses advertising content as 50% of the schedule, but it can be done tactfully so that people don’t always see “Book Now!” as the call to action. There is no hard and fast rule; the main thing is to share a variety of content that includes all four goals. As far as what time of day to post? It varies by social platform, but on Facebook it’s easy to learn when people interact with your page posts the most. The only way to truly tell is to post content at all times of the day and track your results. To view your own data, visit the Insights tab of your Facebook Page. The different sections are listed on the left. It defaults to the Overview section. Click on the Posts section to see what times of day your posts get the most engagement for any given day. Some clients get more traction in the late afternoons and evenings. Other clients have multiple peak times: 9 am to 11 am and 7 pm to 9 pm. No matter how you look at it, play around, have fun, test things out and see what works best for you. Remember, RealTech is here to help you. You don’t have to do it alone. We offer a well-rounded social media strategy that can include a robust Facebook presence, custom branded filters for SnapChat, and long-term Pinterest use for boosted organic reach. Start with one channel and grow your audience and results, then branch out to other platforms to scale your growth. Want to know more about our custom social media marketing services for you and your vacation rental business? Email us directly at marketing@rtservices.net.